CoQ10, or Coenzyme Q 10, is a naturally-produced enzyme found in the mitochondria in every cell of your body. CoQ10 is needed to make ATP, the major energy source needed for cell growth, maintenance and to power several of the body’s biological processes. CoQ10 also functions as an antioxidant, which protects the body from damaging molecules. CoQ10 can be obtained via food sources or as a nutritional supplement. Foods highest in CoQ10 include salmon, sardines, and beef liver. A deficiency in CoQ10 can be caused by a number of factors, but the most common is use of the cholesterol-lowering statin drugs. Statin drugs work to lower cholesterol by inhibiting a liver enzyme called HMG Co-A reductase, thus reducing the liver’s ability to make LDL cholesterol. But, that same pathway that blocks LDL cholesterol also blocks the production of CoQ10. Prevent a heart attack, reduce your stroke risk, and lower your blood pressure. Avoid medications, when possible—even avoid doctor and hospital visits! Maintain a healthy heart by claiming, right now, your FREE copy of our definitive guide to avoiding heart disease and taking care of your ticker. 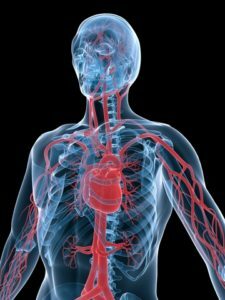 Aside from statin drug use, CoQ10 deficiencies have been attributed to several conditions: chronic fatigue syndrome, fibromyalgia, Alzheimer’s disease, Parkinson’s disease, atherosclerosis (plaque in the arteries), high blood pressure, male infertility, insulin resistance (diabetes), muscular deterioration (such as muscular dystrophy) or mitochondrial disease. Also, low CoQ10 levels have been found in patients with certain types of cancer: myeloma, lymphoma, and cancers of the breast, lung, prostate, pancreas, colon, kidney, and head and neck. Can you test your CoQ10 levels? Mitochondrial Profile – This test is exceptionally useful for chronic fatigue sufferers as it provides a clue as to whether or not a physiological disease of the mitochondria is to blame for their symptoms. However, lab testing is not absolutely critical to begin CoQ10 supplementation. In fact, CoQ10 testing is rarely ordered unless a patient is suspected to have some sort of mitochondrial disease or unexplained chronic fatigue syndrome. Most integrative physicians advise their patients who have dysfunction in any of these areas to take a “therapeutic trial” of CoQ10 without any sort of testing, especially if they are taking a statin drug. What are the CoQ10 benefits? The CoQ10 benefits also include enhancing exercise performance. Several studies have found that CoQ10 supplementation (60–100 mg) improves aerobic power, anaerobic threshold, exercise performance, and/or recovery after exercise in both trained athletes and untrained individuals. In one study published in the Journal of the International Society of Sports Nutrition, supplementation with CoQ10 resulted in higher muscle CoQ10 concentration, maximal oxygen consumption, and increased time to exhaustion. How do you take CoQ10? CoQ10 supplements are made from two primary sources – vitamin K and ubiquinol. Ubuquinol is the purest form of CoQ10 as it regenerates other antioxidants such as Vitamin C and Vitamin E. When purchasing a CoQ10 supplement, make sure you get the ubiquinol (or ubiquinone) form over the vitamin K form. Most integrative doctors recommend that healthy people under age 60 take a minimum daily dose of 50 to 100 mg of CoQ10 when wanting to boost their mitochondrial function. If you’re over 60 or on a statin drug, the recommended dosage increases to 100 to 200 mg daily. 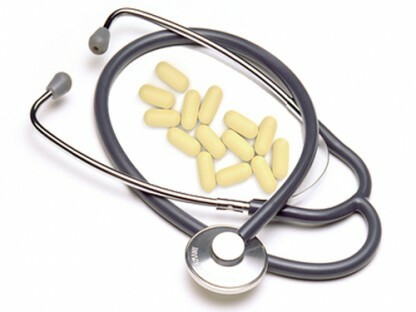 If you had recent heart surgery, heart attack or congestive heart failure, the recommend amount is 200 to 300 mg daily. For people with dementia, Parkinson’s or muscular dystrophy, very high doses of CoQ10 (up to 1,200 mg per day) are recommended, but only under the supervision of a doctor. CoQ10 is fat-soluble, so it is better absorbed when taken with a meal that contains oil or fat. It is also suggested that you divide the dosages, taking half of your daily CoQ10 in the morning and the rest in the afternoon which will increase blood levels substantially. The clinical effect of supplementation is not immediate and may take up to 8 weeks to achieve the CoQ10 benefits. Are there any drug interactions with CoQ10? Daunorubicin and doxorubicin (chemotherapy drugs). Blood pressure medications. CoQ10 lowers blood pressure; thus, your blood pressure should be monitored carefully while taking CoQ10 and lowered accordingly. Blood-thinning medications. Because coenzyme Q10 is similar in structure to vitamin K, it could potentially increase the effects of blood-thinning medications like Coumadin. J. Int. Soc Sports Nutr. 2008; 5:8. J Alzheimers Dis. 2008 June; 14(2): 225–234. J of the Neurol. Sciences. 2008 Sept;272(1): 20-33. This post originally appeared in 2013 and has been updated. Blood Pressure Chart: Where Do Your Numbers Fit? age related macular degeneration, alzheimer, alzheimers, angina, antioxidant, antioxidants, atherosclerosis, blood pressure, blood pressure medications, cancer, cancers, cardiomyopathy, chemotherapy, chemotherapy drugs, chest pain, cholesterol, cholesterol high, cholesterol lowering, chronic fatigue, chronic fatigue syndrome, congestive heart failure, coq10 benefits, coronary, coronary heart disease, dementia, diabetes, exercise, fatigue syndrome, fibromyalgia, food, heart attack, heart conditions, heart disease, heart failure, heart surgery, high blood pressure, high cholesterol, infertility, insulin, insulin resistance, integrative, integrative physicians, ldl, ldl cholesterol, lower cholesterol, lymphoma, macular degeneration, migraines, mitochondria, muscle, natural immune booster, nutrition, pain, Pancreas, parkinson s disease, Prostate, recovery, statin drugs, supplement, supplements, to lower cholesterol, types of cancer, vitamin, vitamin c, vitamin e, vitamin k.
I AM CURRENTLY SUFFERING FROM SATIN NEUROPATHY. I AM INDEED SUFFERING FROM MUSCLE PAIIN ALL OVER MY BODY. I NEED ALL THE HELP I CAN GET.